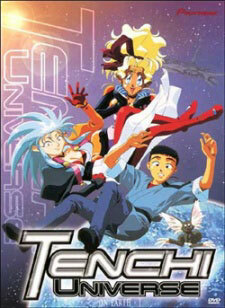 Watch Tenchi Universe Episode 19 English version online and free episodes. Anime Episode guide, Chapter Tenchi Universe Episode 19 English dubbed The Lonely Princess Now that Mihoshi and Kiyone have been transferred to Pluto, the Masaki house seems emptier than ever, and Ayeka cannot help feeling that the gang’s separation is an indication that something terrible is on its way. Desperate to allay her fears for the future, Ayeka does her best to get everyone back together again- but will the others be interested in a reunion?